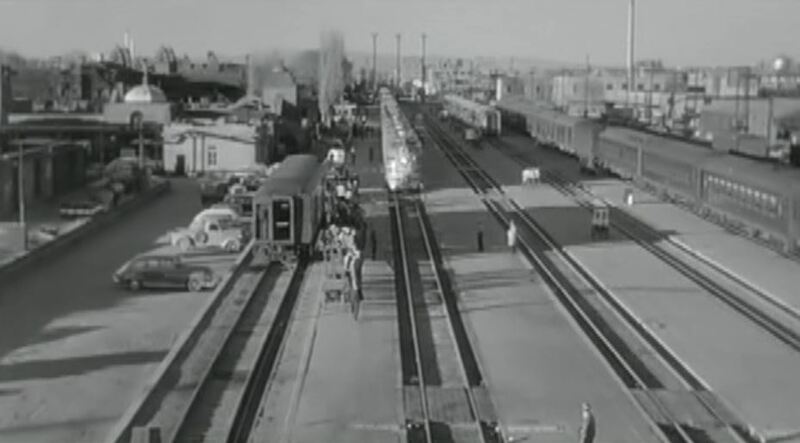 I came across this train-laced movie on a local TV broadcast quite by accident while channel-surfing. 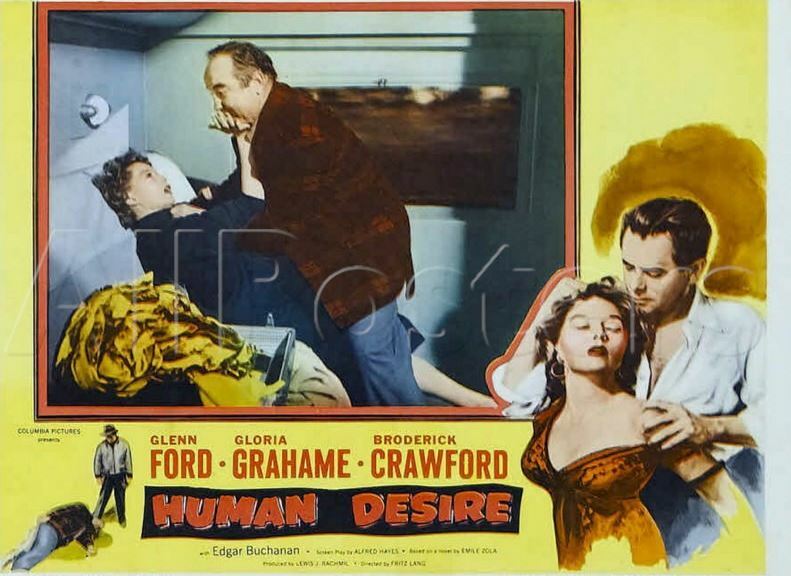 The film stars Glenn Ford, Gloria Grahame and Broderick Crawford in a steamy love triangle that spirals down into jealousy, blackmail and murder. 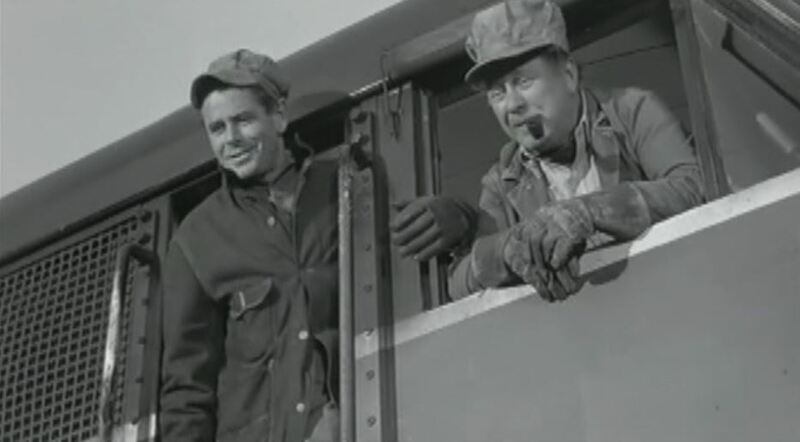 The opening scenes feature a collection of B&O, ACL, & AT&SF trains as engineer Glenn Ford pilots his passenger train along the line. 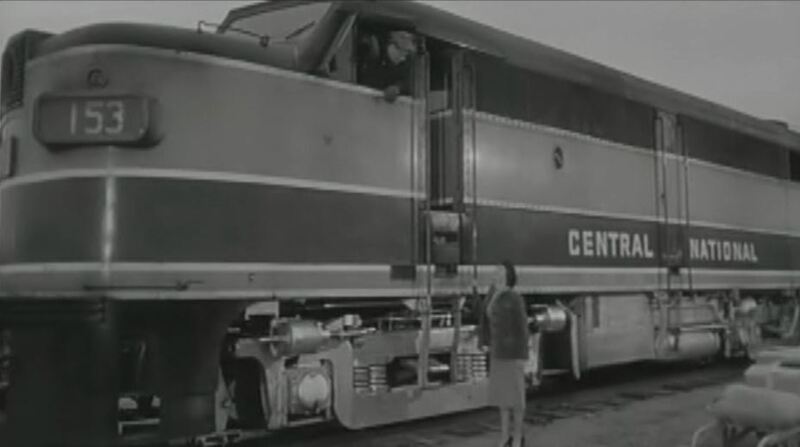 Partially filmed on the Rock Island at El Reno, Oklahoma, the movie features a CRI&P Alco/GE FA-1 # 153 lettered as the ficticious “Central National” railroad. 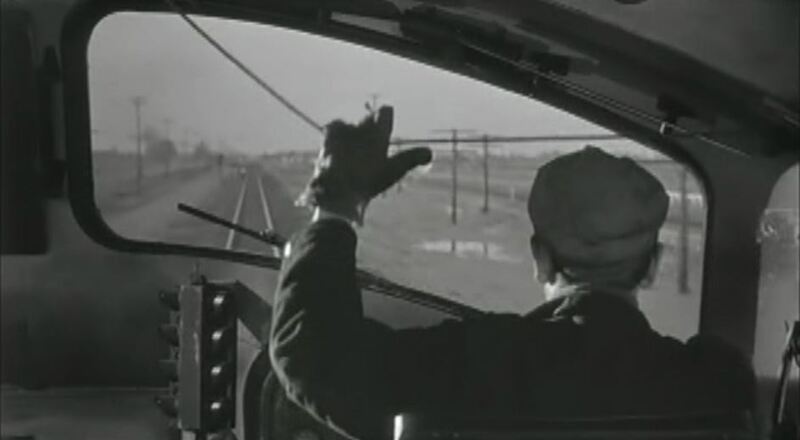 Glenn Ford blows the horn scattering track workers ahead. 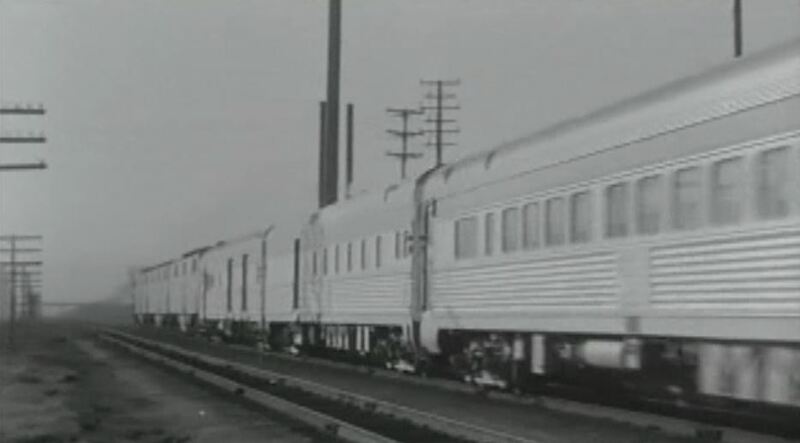 Note the cab signals and the EMD F unit style windows. 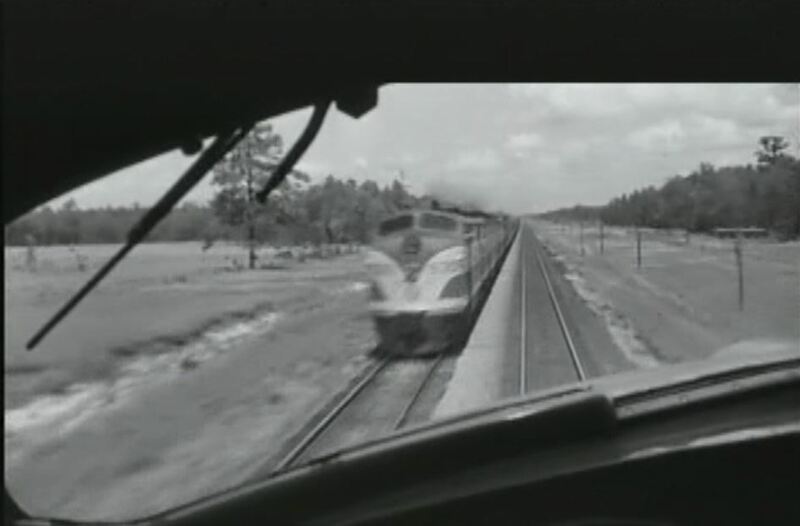 Exteriors showed Ford piloting an Alco/GE FA-1. 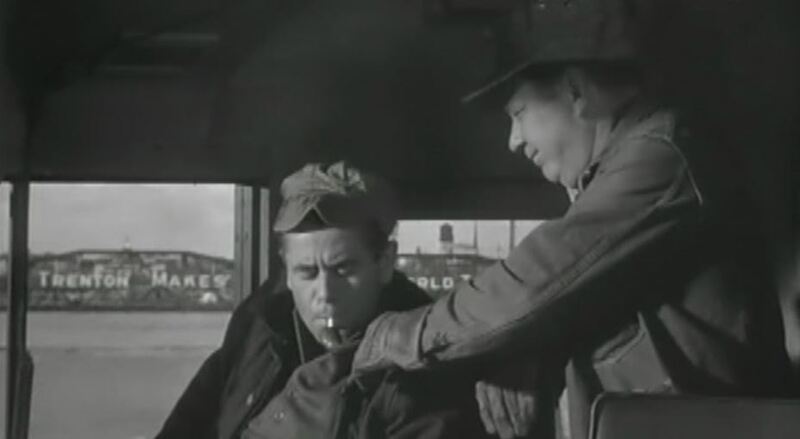 Love the old-style whistle cord and ever-present cigarette. 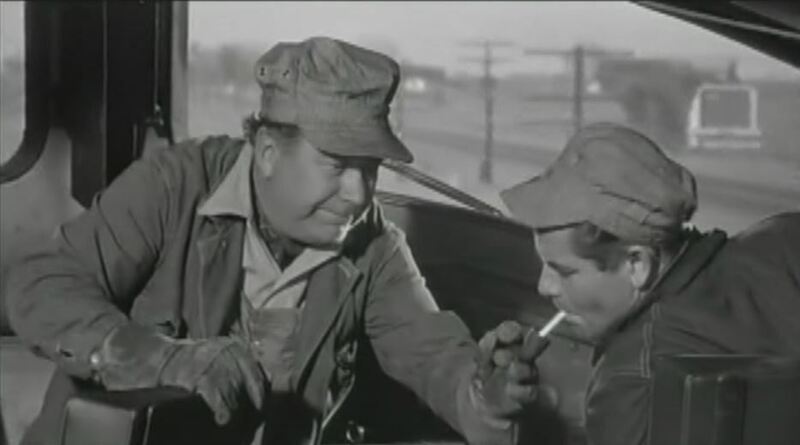 Hand on the throttle, Glenn Ford guides his FA-1 along the line; Ford’s pipe-smoking fireman is played by Edgar Buchanan (Uncle Joe!) who lights him up. Suddenly we see EMD E unit trains meet on the Atlantic Coast Line! Too bad this picture isn’t in color, as ACL had PURPLE diesels! 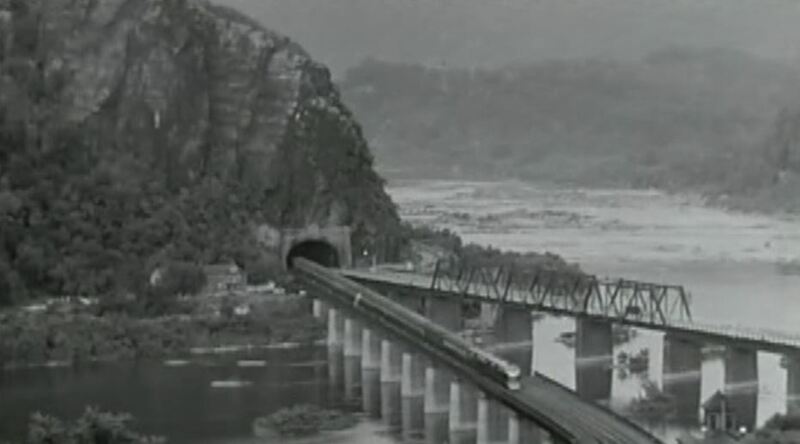 Next in sight is a B&O streamliner at Harpers Ferry, WV, crossing the Potomac River; Finally as Ford pulls his train into the station, we see an AT&SF streamliner pulling into what looks like Albuquerque, NM. 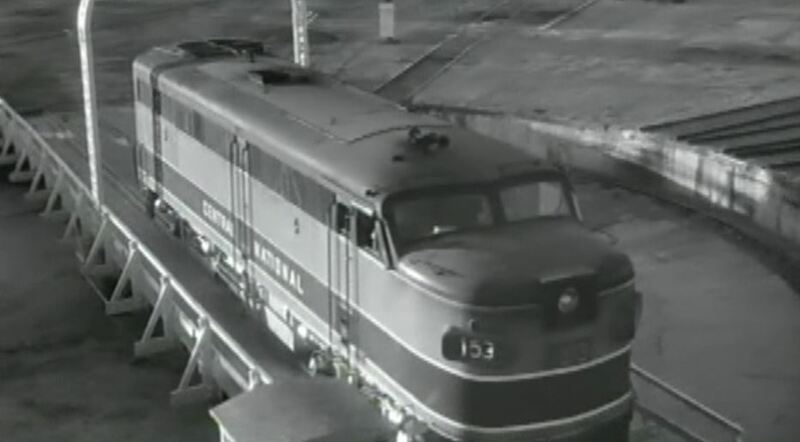 3/4 view of Central National #153 with Glenn Ford in the cab; Ford and Buchanan lean out the engineer’s side windows. 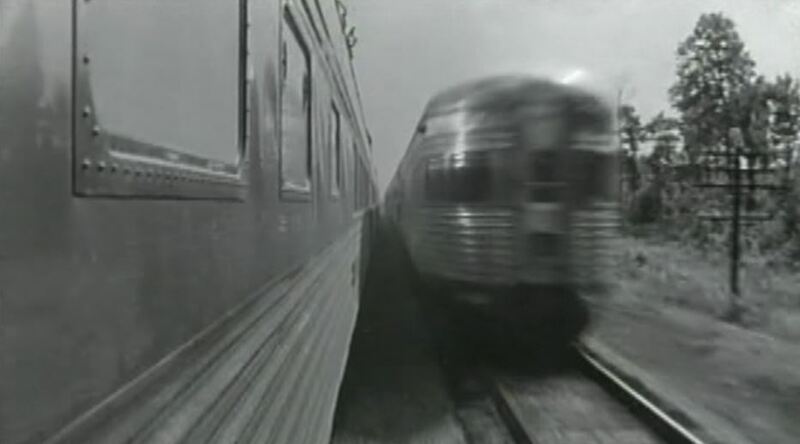 The lead FA-1 is uncoupled and run onto the turntable. 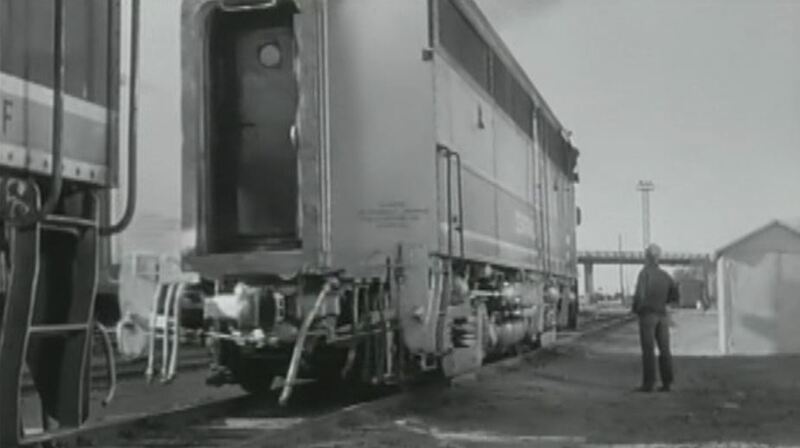 This gives us a good detail shot of the rear of the locomotive. 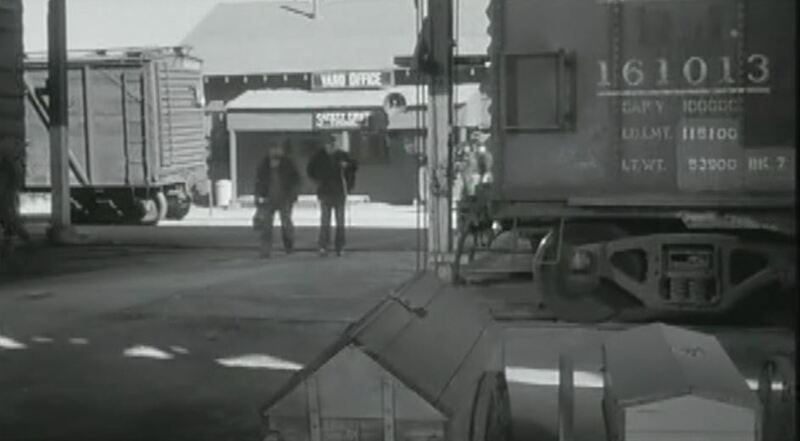 Engineer and Fireman mark off in the yard office – that’s Olan Soule to the left; Walking through the car shop. 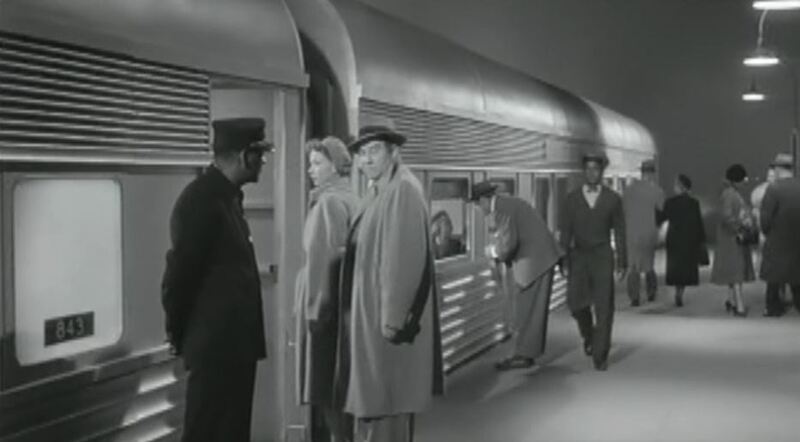 Broderick Crawford stumbles home with a heavyweight “New Something” Pullman in the background; Gloria Grahame and Crawford are riding coach to the big city. 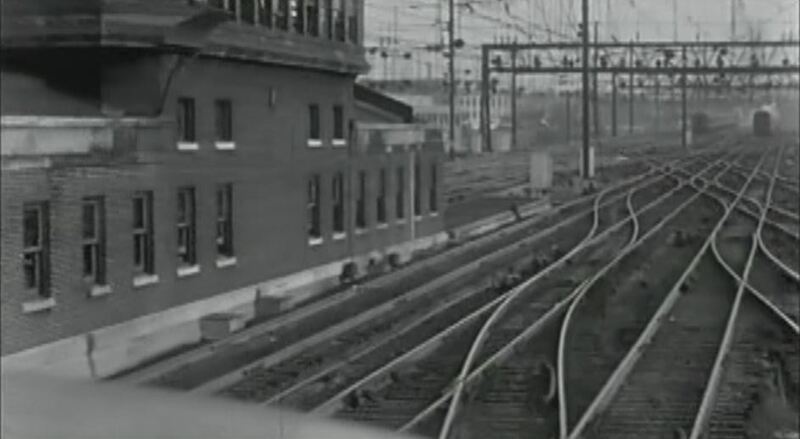 What looks like an SP train of some sort led by EMD F3’s; Now from the cab, they appear to be on the Pennsy under catenary. Well, their little visit to the city didn’t turn out too well (Grahame was trifling with the boss to get Crawford his job back), so they catch the next train home. 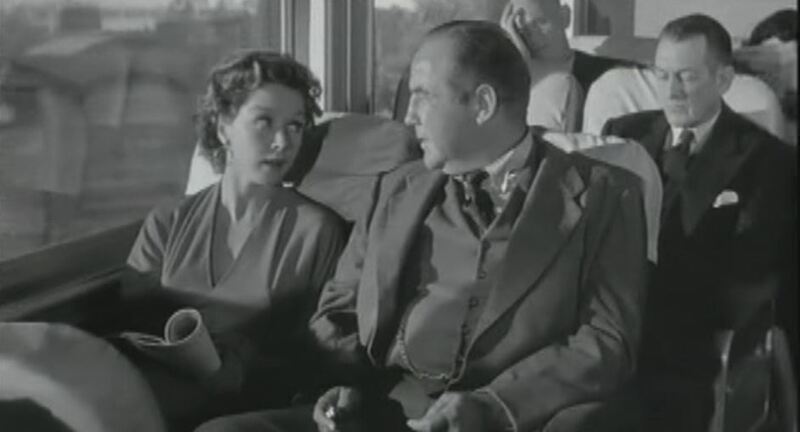 Crawford barks at Grahame for her indescretion; Soon the pair board the train at an obvious studio set. Much plot and non-railroad stuff left off here. May I come up, Mr. Engineer? 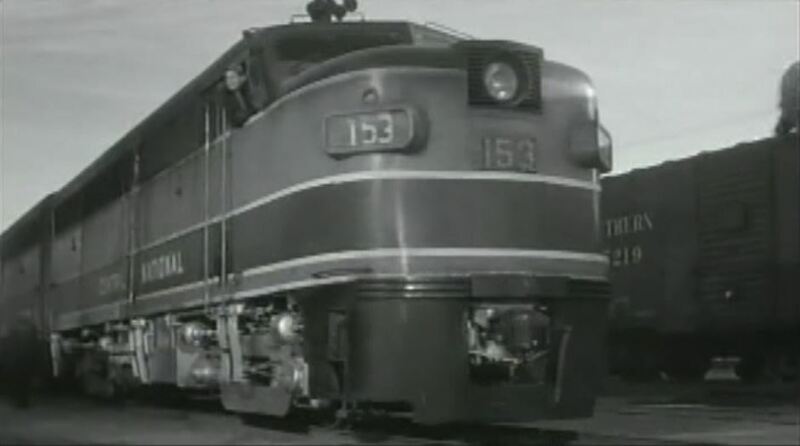 Nice view of the RI 153; Uncle Joe’s snazzy daughter (rawr-rawr! 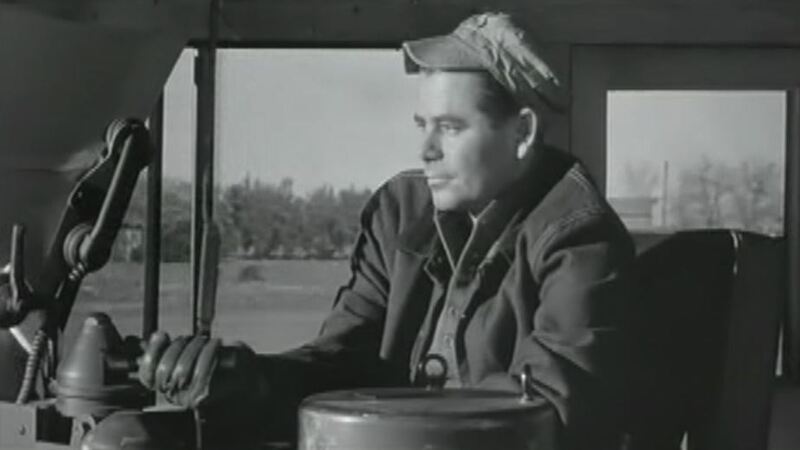 )shamelessly flirts in the cab with Glenn Ford, but he’s clueless. Dummy. 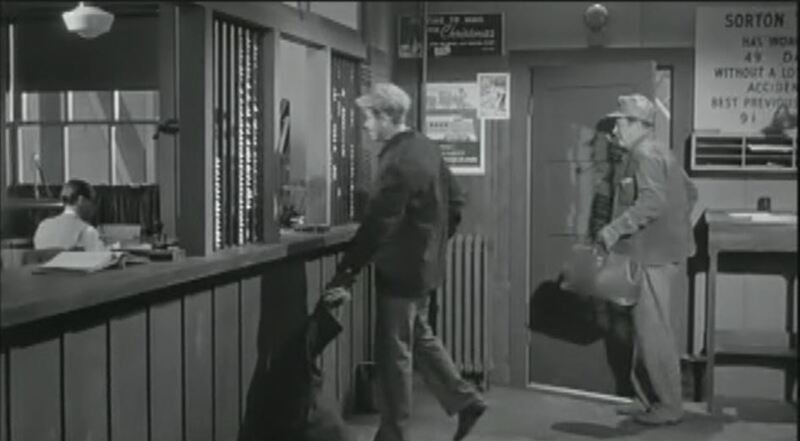 Crawford staggers drunkenly away as Glenn Ford and Edgar Buchanan look on; Broderick Crawford and Gloria Grahame finally have it out – where else? In a Pullman bedroom. Hair pull! 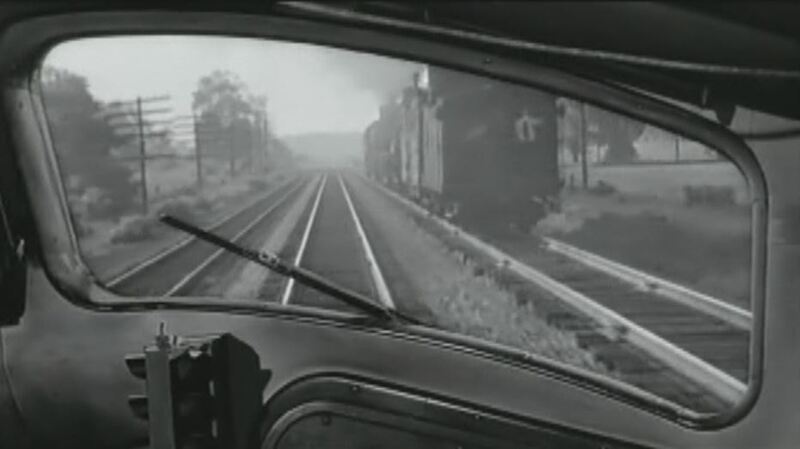 Glenn Ford’s train passes what appears to be a steam powered work train on the Pennsy. 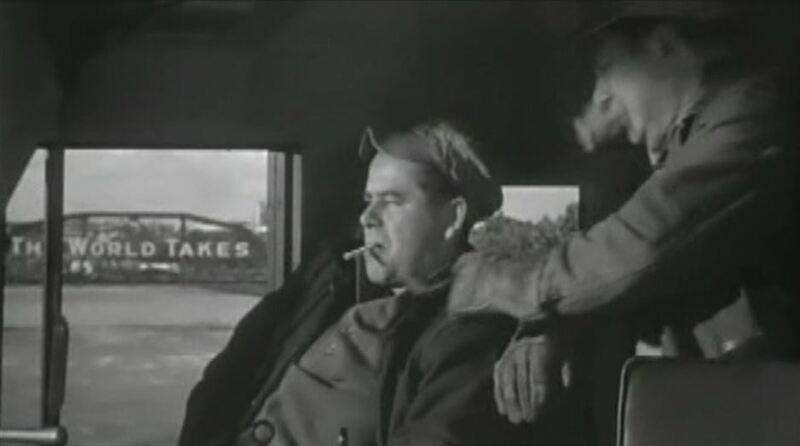 In one of the final scenes, Glenn Ford and Edgar Buchanan are now in New Jersey as they pass a bridge sign reading, “Trenton Makes – The World Takes”. 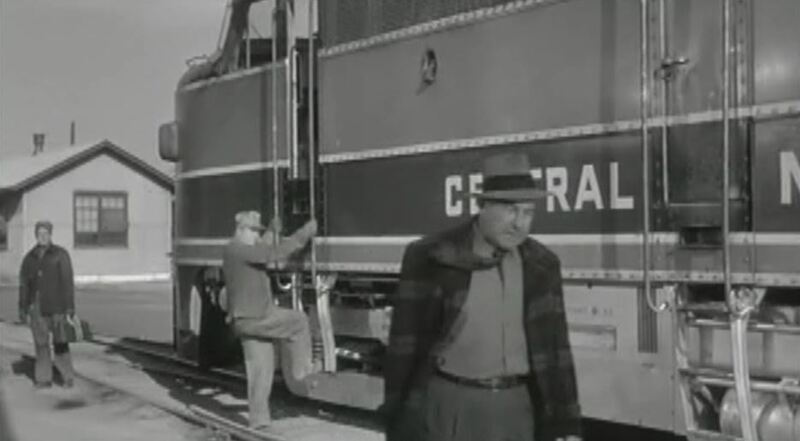 As an obscure train movie, this one is top notch. The story is pretty good too, with Ford as the heroic engineer, Grahame as the “The girl who can’t say no” and Crawford playing his usual, drunken self. A semi-noir drama classic. Lindsay says check it out! 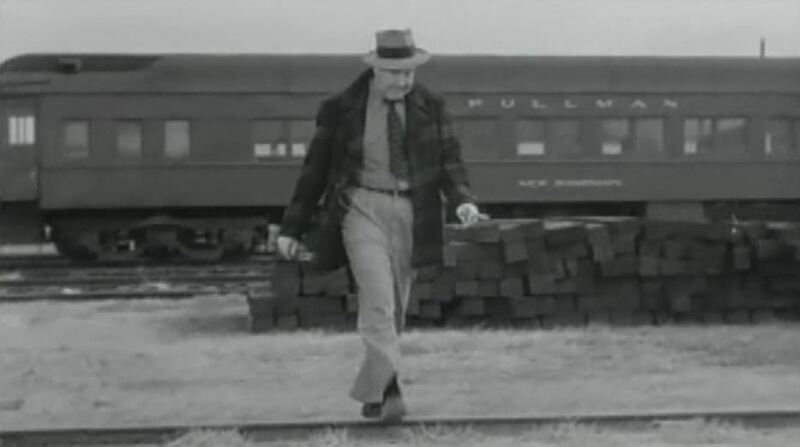 This entry was posted in Uncategorized and tagged Alco FA-1, Alco/GE locomotives, Atlantic Coast Line, Baltimore and Ohio Railroad, Broderick Crawford, Central National Railroad, Columbia Pictures, Edgar Buchanan, EMD E unit, EMD F unit, Glenn Ford, Gloria Grahame, Human Desire, Pennsylvania Railroad, Purple diesels, Rock Island Lines, Rock Island Railroad, Trenton Makes - The World Takes. Bookmark the permalink. 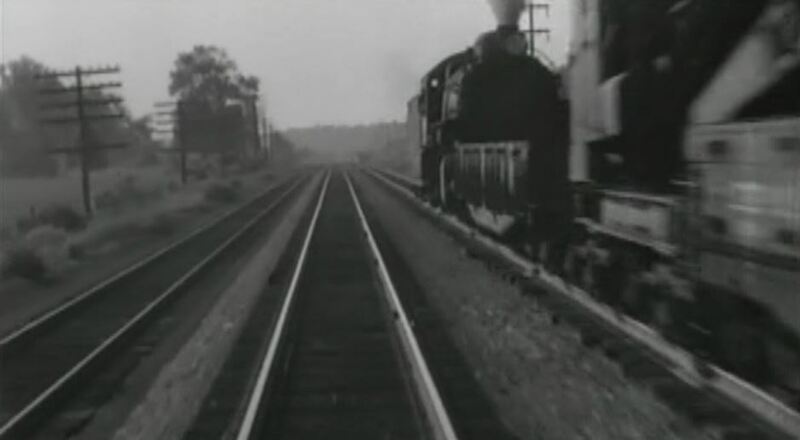 Apart from the “fun with railroad stock footage” aspect (Rock Island, Pennsy, Atlantic Coast Line, and, of all places, Trenton) the movie sounds fun. Thanks!